I've backed off quite a bit from my overbearing political voice over the past few years, but it still interests me. I ran across this graphic from The DailySignal, and I thought I'd pass it along in case you're interested. I still think America missed a chance to elect one of the great leaders and statesmen since some of the founding fathers in Ron Paul. 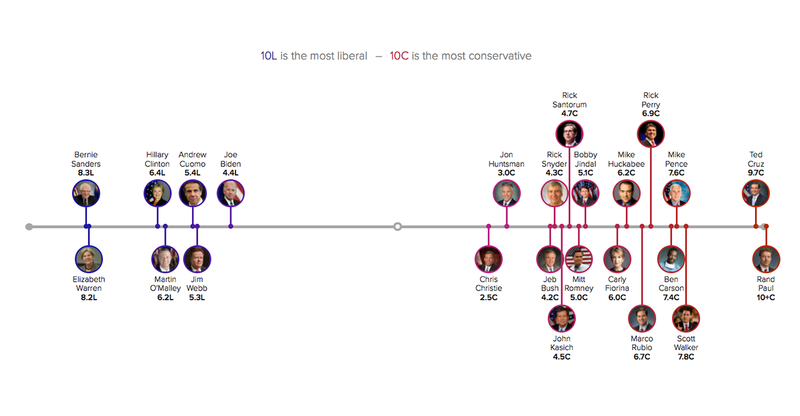 His son Rand is running and according to the chart is the most conservative presidential candidate. Right now, Ted Cruz is my choice. He seems to have a strong backbone and doesn't mind dropping a wrench in the government gears to get his point across. I'd rather the government gears get wrecked more often so they have fewer chances to spend my money irresponsibly.